Old Man Logan's time is almost up, but he's prepared to go down being the best he is at what he does. Whenever a comics superhero confronts a possible dystopian future, it tests how far they're willing to go and how many lines they're willing to cross. Compared to other superhero teams, the X-men encounter more apocalyptic visions than most. What sets the wasteland of Old Man Logan's future apart from other such stories has less to do with efforts to avoid the tragedy and more to do with how he endures it. Mark Millar captures many unique themes in his original run on Old Man Logan. It's not just another dystopian event that the heroes must avert. The worst possible scenario already happens. Moreover, Logan helps to make it happen. It's no longer a future to avoid. It's one he must endure, complete with the burdens and despair that comes with it. Logan carries many of those burdens with him into the mainline Marvel universe after the events of Secret Wars. He suddenly finds himself in a world where he isn't tricked into killing his friends. On some levels, this is a second chance. On others, it's a test on how far he's willing to go to avoid this future from growing worse. Since his arrival, Old Man Logan finds plenty of roles with the X-men. However, there's a distinct sense that Old Man Logan is living on borrowed time. Under Ed Brisson and his run on Old Man Logan, his time is almost up. 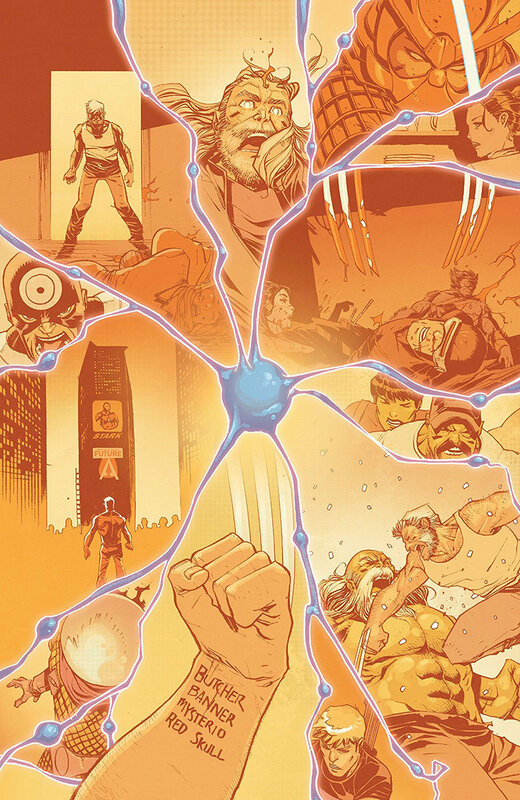 He ties up as many loose ends as he can, including the death of Maestro in Old Man Logan #50. 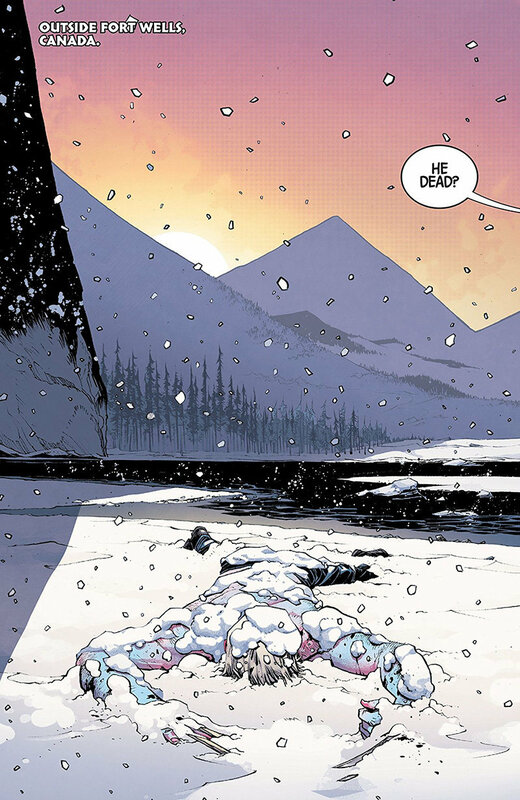 Now, in Dead Man Logan #1, the final leg of the old man's journey is upon him, and Brisson channels the best of Millar's dire vision to see it through. He establishes early on that Logan's cumulative efforts to fight on are catching up with him. After 50 issues of picking fights that leave him bloodied, battered, and in need of a cold beer, his healing factor is finally failing him. Cecilia Reyes confirms as such, but Old Man Logan makes no effort to treat it. This grim prognosis doesn't scare him in the slightest. If anything, it motivates him in a way that's perfectly true to his character. In a sense, being an old man with way too many regrets help limit the sting of a death sentence. It also makes the prospect of a character dying feel less like a gimmick and more like a countdown to their final send-off. This isn't Jean Grey, Charles Xavier, or Colossus dying again. This is a man who isn't the least bit scared of dying and doesn't want to leave room for a resurrection plot. For Old Man Logan, there's no time to lament. It just means he has to make the most of what little time he has. Fittingly, he seeks to finish what he began when he first arrives in the mainline Marvel universe. Even though he encounters plenty of differences between his timeline and the one he's in, he wants to leave nothing to chance. That means hunting down Mysterio and making sure he can't manipulate him into killing his friends. This leads to brutal bar fights, a team-up with Hawkeye, and some frustrating complications that likely need stabbing. 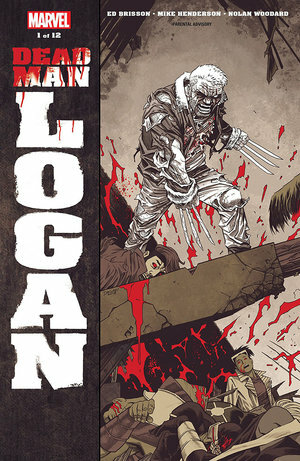 In short, it gives Old Man Logan a chance to do what Logan does best at any age. Brisson doesn't present the story as a march towards Old Man Logan's inevitable death, however. There's still a possibility that the timeline he dreads can unfold, albeit under different circumstances. His efforts to prevent it may even be setting it up, to some extent. It's almost ironic, but only to the extent that he inspires an enemy who didn't even exist in his timeline to plot against him. This is also where the story gets somewhat less cohesive. While involving characters like Hawkeye and Mysterio in Old Man Logan's final journey feels both fitting and necessary, having Ms. Sinister get involved comes off as random. It's not just because she's a lesser-known character who has yet to establish herself as an A-list villain for the X-men. Her reasons for getting involved seem contrived. It's almost as though she only enters the conflict out of boredom, which rarely makes for compelling action. It still creates obstacles for Old Man Logan, however. Thanks to Ms. Sinister, his journey is no longer as simple as stabbing Mysterio or locking him in an unventilated dungeon with Mole Man. He now has to fight against someone who wants to see his apocalyptic future manifest. He even gives them more incentive. It's a nightmare scenario of his own making, but given the burdens Old Man Logan has born since the original Millar story, it's still fitting on many levels. By and large, Dead Man Logan #1 succeeds in setting Old Man Logan up for his final battle. It forges a connection between his roots in a dystopian future and his efforts to save the present timeline while he still can. Parts of that story falter as other supporting characters like Forge and Glob Herman do little to affect the plot, at least initially. The connections are loose, but the underlying plot is clear. This is Old Man Logan's final mission and he's not going to let his looming death keep him from doing what he does best. If ever there was a time to root for an old man completing his bucket list, this is it.